Inventory We are a resale marketplace, not a box office or venue. Ticket prices may exceed face value. This site is not owned by Xfinity Theater . 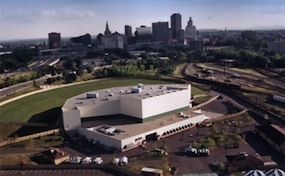 The Xfinity Theatre, formerly the Comcast Theatre, in Hartford, Connecticut is one of the biggest outdoor amphitheaters in the country. The Xfinity Theatre box office has access to over 7,500 indoor seats (that can be closed off in the colder months to keep the venue open and an additional 22,500 lawn seats available. The Comcast Theatre has changed its name multiple times over the last few years. For most of the amphitheater's history it was known as the Meadows Music Theater and for a short time was the New England Dodge Music Center. Dave Matthews holds all sales records for Xfinity Theatre tickets. He typically plays two back-to-back shows at the Meadows Music Theater every year. The Comcast Theatre is primarily the first stop for all summer concert series in the Hartford Metro area. Xfinity.TheatreHartford.com is a privately owned and operated company that deals primarily in the secondary market. We are not affiliated with any official website, box office, or supplier. All tickets may be below or above face value and inventory is priced consistently. To purchase tickets for all Xfinity Theatre events just call our operators at any time or navigate the easy to follow online steps by choosing the performance of interest.